Would you care to celebrate with some homemade almond butter? This may seem odd to you*, but I did not even realize other nut butter existed, outside of peanut butter. When I was 20, subletting a room from a friend in Jersey City, I lived with 3 dudes. 3 health conscious dudes. I was also kinda dieting so I'd look ok in my bikini for that one movie. One such boy, a model, was telling me about almond butter and how it was healthier than peanut butter. I tried it. I was like "Huh..it's OK I guess...I'd still rather have peanut butter though." Fast forward to me having some Godiva truffles, including their roasted almond butter one-OMG. Fast forward to me making homemade peanut butter and realizing that I should totally make homemade nut butters all the time. Fast forward to me making roasted almond butter. I had a smidgen bit of difficulty-the nuts weren't breaking down the way the peanuts had. I then realized I'd have to relent and add oil. So I did. Then, we had perfection. And it was deeelicious. I totally think it's amazing, now. Not better than peanut butter. But just like peanut butter's equally pretty and talented sister, ya know? And it's healthy, so, awesome. Then I made cookies. Not necessarily so healthy. Whatever. I'll share those later. You know what I also did? Smeared some of this goodness on homemade graham crackers for breakfast. Yums-ville. Discover almond butter. Discover yumminess. 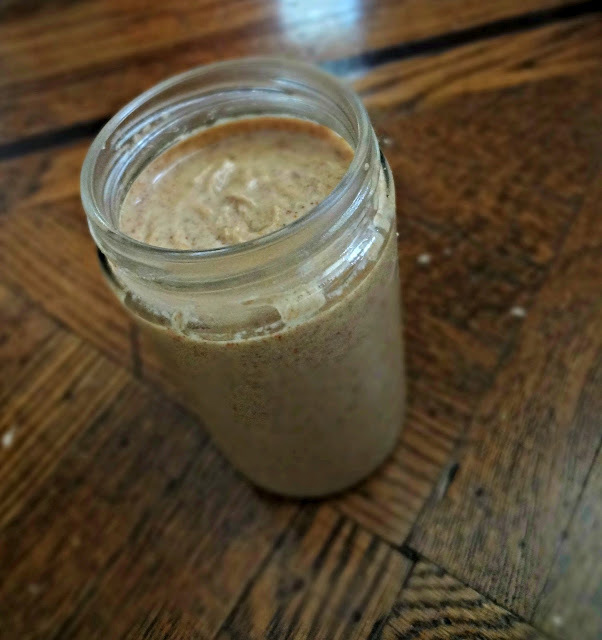 Adapted from various nut butters, including edible perspective and my homemade peanut butter. 16 oz. of nuts yields about 1 1/2 cups of nut butter. If desired, roast almonds (I used a skillet, you can use an oven). Allow to cool for at least 5 minutes. Add nuts to food processor. Process. Scrape down sides as needed. Process for 6-12 minutes. Nuts will become chopped, then form a thick paste. 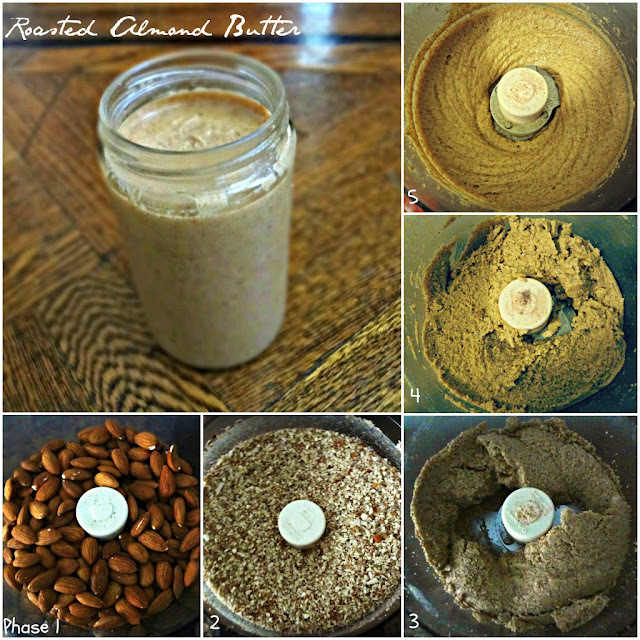 If the nuts do not break down after awhile (mine did not), add oil (I used a little coconut oil then some canola), as needed, until it processes down into a thick, creamy almond butter. Add salt, if desired. Store in an airtight container/jar. Will keep at room temperature for about a week, or in the refrigerator for about a month. 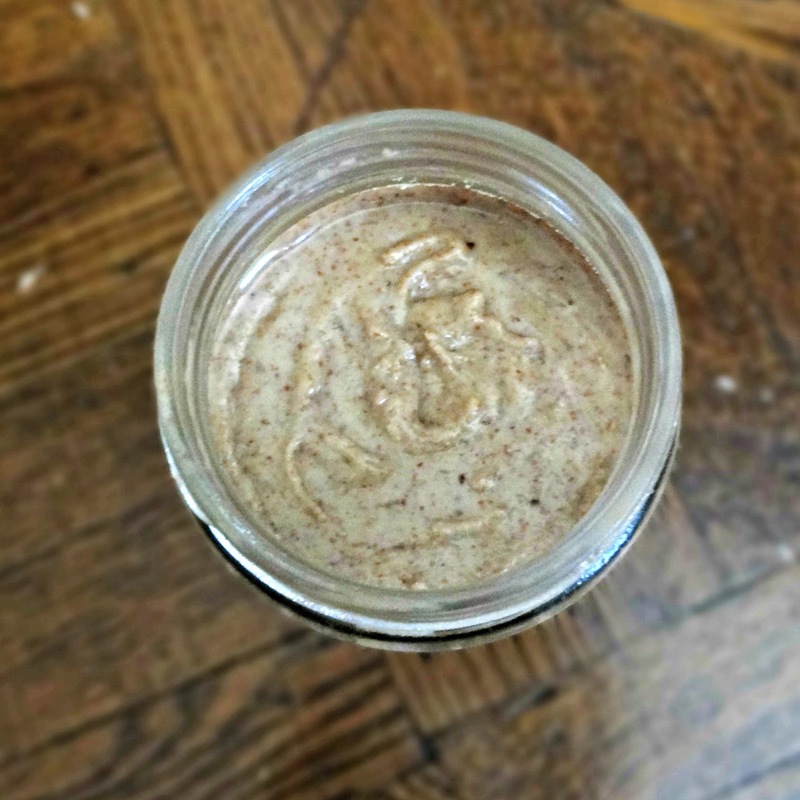 Stay tuned Wednesday to see what I made with this almond butter!! !